Then, you can shake yourself, take a deep breath, raise up all your courage and contact this person straight away. Or you can start searching for him through the web, travelling all over the world, if necessary. And if this does not work, even moving to other worlds and going through cycles of other lives, till you finally find him. This option is simply here and now. It is a direct link, heart to heart. The heart abides beyond space and time. You can open your heart, allowing it to say what it wants, silently, and you can rest assured that his heart will receive your words. It will do so in a delicate and refined way, filtering away all the unnecessary and keeping only the essence. This person will feel a deep peace and joy, receiving what he truly needs in that moment. 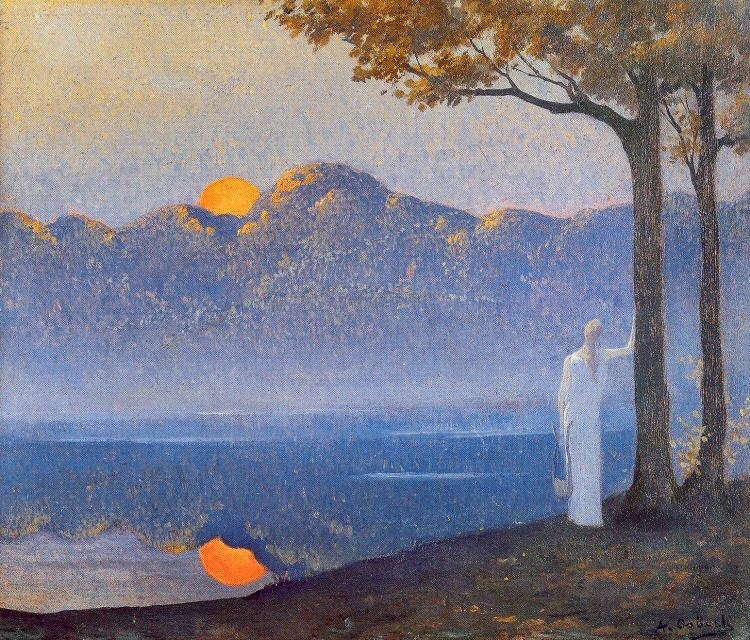 Image: by Alphonse Osbert (1857-1939), French painter.